Have you heard of ivy gourd, yet? Not many people have, so don’t feel bad if you answered “no” to that question. But if you or your doctor is concerned about keeping your blood sugar levels healthy, you need to know about ivy gourd. Ivy gourd is a vegetable that is part of the pumpkin family. Primarily found on the Indian subcontinent and greater Asia, it is valued as a food because all parts of the vegetable can be eaten, and stand up to strong seasonings and spices. But even more importantly, the chemicals that occur naturally in ivy gourd can assist in keeping blood sugar levels healthy. How does Ivy Gourd work? Our bodies produce a liver enzyme, glucose-6-phosphatase (G6PC), which is essential in order to regulate blood sugar metabolism. If that enzyme fluctuates too much, our systems get out of balance, and our blood sugar levels follow. 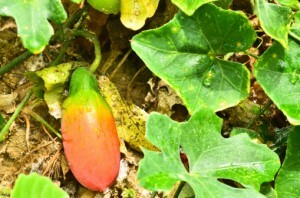 Ivy gourd reacts with G6PC, keeping its production stable, which, in turn, helps keep our blood sugar levels stable. Numerous studies point to the efficacy of ivy gourd. In a 2009, placebo controlled study of healthy participants, the people taking 20 grams of ivy gourd leaves with a meal had blood sugar levels that were “significantly lower” after a meal than the group taking the placebo. In 2008, another placebo controlled study looked at patients who had blood sugar concerns. In this case, participants taking ivy gourd experienced a “significantly greater improvement in blood sugar levels” than the group not taking ivy gourd. And we can keep going back, citing studies that indicate just how effective ivy gourd is in helping support blood sugar levels, all the way back to 1979. That’s right – for almost 35 years research has been telling us that ivy gourd can play an integral part in keeping our blood sugar levels in a healthy range. But is Ivy Gourd safe? So far, there are very few reported side effects to taking ivy gourd. Since it is a vegetable, if you have a known allergy to pumpkin or any gourds in the pumpkin family, you should avoid taking ivy gourd in any form. Also, because ivy gourd is so effective at improving blood sugar levels, talk to your doctor before adding ivy gourd to your diet if you are already taking medications that lower blood sugar. And that’s really it. Not bad for a supplement that can do so much good! Where can I buy Ivy Gourd? Supplements that include ivy gourd are available online and in vitamin or health food stores. 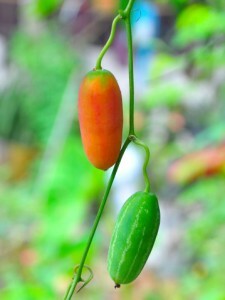 Ivy gourd is sometimes known as Coccinia grandis, Coccinia cordifloria, little gourd, or tondli. As with all nutrients, pay attention to the amounts offered in the supplement to ensure you are getting an amount that can actually help. While no official recommended dosage has been established for ivy gourd, research shows 1,000 mg per day is effective for supporting blood sugar levels. Also, stick with trusted brands and companies – such as Gluco-Sure with Gencinia, from NorthStar Nutritionals - in order to ensure the best quality. Ivy gourd may not be one of the most well-known supplements – but it should be. After almost 35 years of research, this is a tool we should all have to help keep our healthy blood sugar levels stable. And that’s why we’re telling you about it. Because if we have really great information that makes us healthier, it’s our job to make sure you have it too. When you have blood sugar concerns, you know sticking to a healthy diet and getting regular exercise are the two most important things you can do to protect yourself. But sometimes, diet and exercise aren’t quite enough. If you and your doctor still aren’t happy with your blood sugar levels, it may be time to look for a product with the ingredient Gencinia. Gencinia is a specific, proprietary extract of the ivy gourd plant. That means that Gencinia was developed, and is owned, by a company called Gencor Nutrients, Inc. But luckily for us, they have made it available to us – and only to us - for use in NorthStar Nutritional’s very own Gluco-Sure. This means Gluco-Sure is the only supplement with this natural, plant-based powerhouse of an ingredient available on the market. Doctors, scientists, and, most importantly, patients are thrilled with Gencinia’s effectiveness on improving and maintaining healthy blood sugar levels, when used in conjunction with diet and exercise. Gencinia reacts with the body by inhibiting the activity of the enzyme glucose-6-phosphatase (G6PC). G6PC is one of the vital liver enzymes that helps regulate our blood sugar metabolism. When it is over-active, our blood sugar gets out of whack. That’s why minimizing the activity of G6PC helps let the body maintain its balanced – and healthy – glucose levels. Which all sounds very complicated. So what does all this mean for you? What it means is that the Gencinia in Gluco-Sure works. The most reliable clinical studies are ones that are double-blind, meaning that neither the people performing the study, nor the people participating in it, know who is taking the active ingredient and who is taking a placebo. In a double-blind, randomized clinical study, where the participants followed a healthy diet and exercise program, Gencinia showed “statistically significant” support for both fasting blood sugar levels and post-prandial (after a meal) blood glucose levels. In fact, fasting levels reportedly improved 16% and post-prandial levels reportedly improved 18% -- all after just 90 days. That’s what we call “statistically significant” all right. How Much Gencinia Should I Take? Throughout that 90 day study, participants were given 1 gram of Gencinia every day. Just 1 gram was enough to create those results. That’s the same amount of Gencinia in our Gluco-Sure. And that’s no coincidence, because all NorthStar Nutritionals’ products are specially formulated to have the right ingredients, in the right amounts, to best serve you. In the initial study of Gencinia, there hasn’t been a single serious side effect reported. However, since Gencinia does affect blood sugar levels, it’s worth noting that if you are taking a prescription, or another over the counter drug to help lower blood sugar levels, you should consult with your doctor before adding Gencinia to your routine. Can any pill replace diet and exercise for keeping your blood sugar healthy? Unfortunately, not yet. Luckily, until that pill comes along, there’s Gencinia and Gluco-Sure, to support you and all the other steps you’re taking to take care of yourself and your blood sugar.